Unique CharactersticsBurpee: Large, red and yellow, 9 inch dinner plate size blooms are the pinnacle of the cut-flower garden. 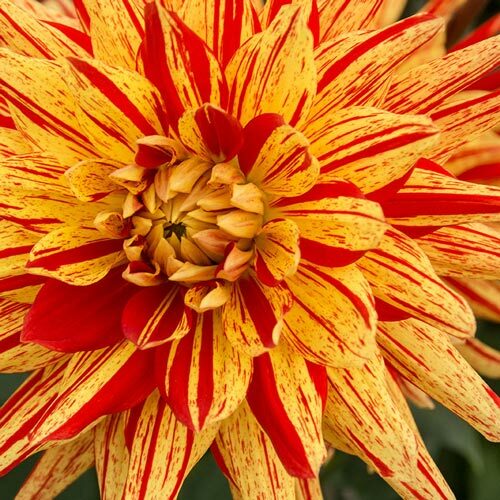 Fewer flowers say "summer like the bold blooms of dahlias. These favorite plants come in two basic types: compact bedding forms and tall border types. 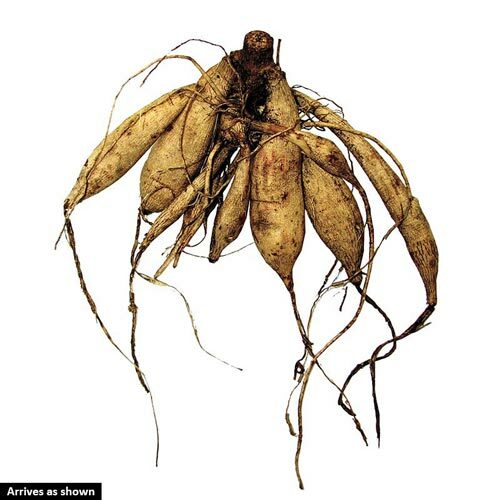 Both have upright stems and grow from tuberous roots. They come in an amazing range of colors and flower forms, from single, small, daisy-like blooms to huge, ruffled flowers up to eight inches across. Compact bedding dahlias are ideal for container gardens and for edging beds. Use the border types to add height and color to gardens in late summer to fall. Dahlias also make great cut flowers.